A warm yet uplifting blending of Lavender and ylang ylang essential oils produce this smooth, sweet, yet heartwarming balance of deeply mysterious botanicals. More information and product images can be found using the links above. 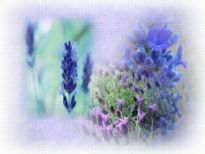 If you have ordered these products before and would quickly like to add Lavender Dreams products to your cart, you can do so using the quick order form below.